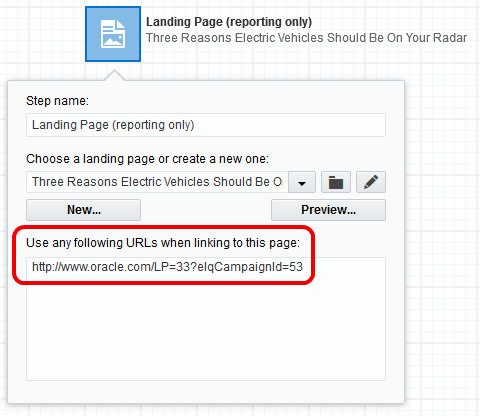 You can share an Oracle Eloqua integrated form, hosted on one or more Oracle Eloqua landing pages, across multiple Oracle Eloqua campaigns. Reusing general forms, where applicable, helps to quickly generate responses across one or more campaigns. Navigate to Orchestration , then click Campaigns. Create or open an existing campaign. Double-click Landing Page under Assets in the left menu. A new landing page element appears on the campaign canvas. Right-click the new element, then click Configure. Click the drop-down menu (or the folder icon) to find the landing page containing the desired form. Double-click the landing page asset. Notice that the elqCampaignId parameter has been appended to the URL of the landing page. Your form is integrated into this campaign. Repeat this process in other campaigns to reuse this landing page as needed. 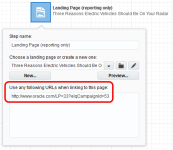 Make sure any links to this landing page includes the elqCampaignId as a query string parameter to the landing page. The campaign ID ensures that a form submission on campaign A will be associated only with campaign A, and not campaign B. 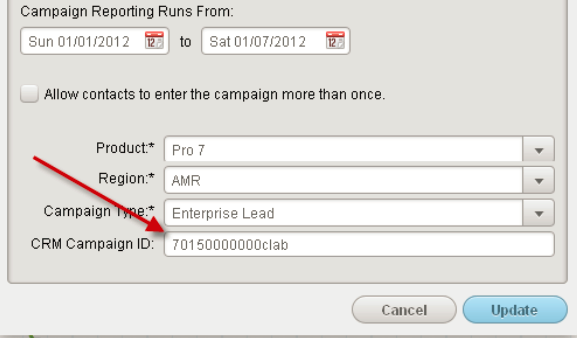 Note: If your campaigns are integrated with Salesforce.com, then make sure that the SFDC campaign ID has been populated in the campaign canvas settings > CRM campaign ID before activating the campaign.